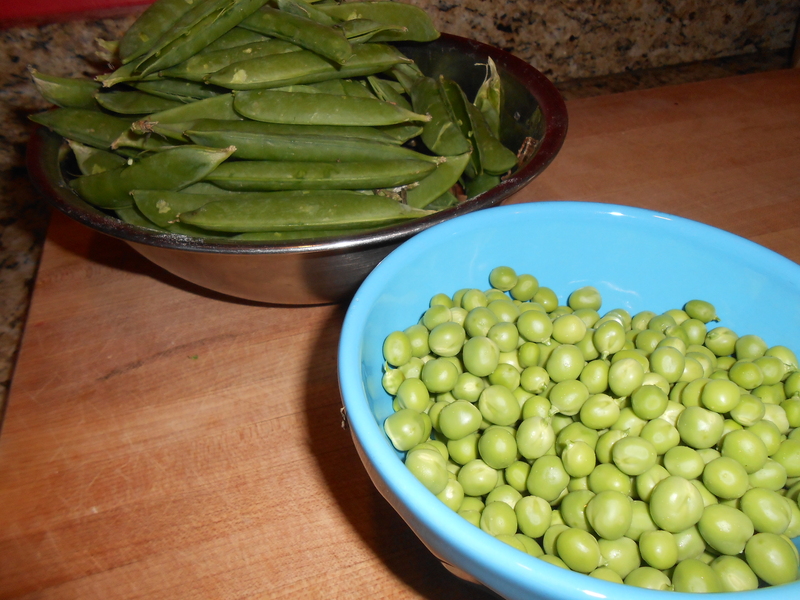 I love shelling the peas- it is so satisfying to see all of those little peas all lined up! Big ones, little ones, fat ones I snacked on a few, too (!). 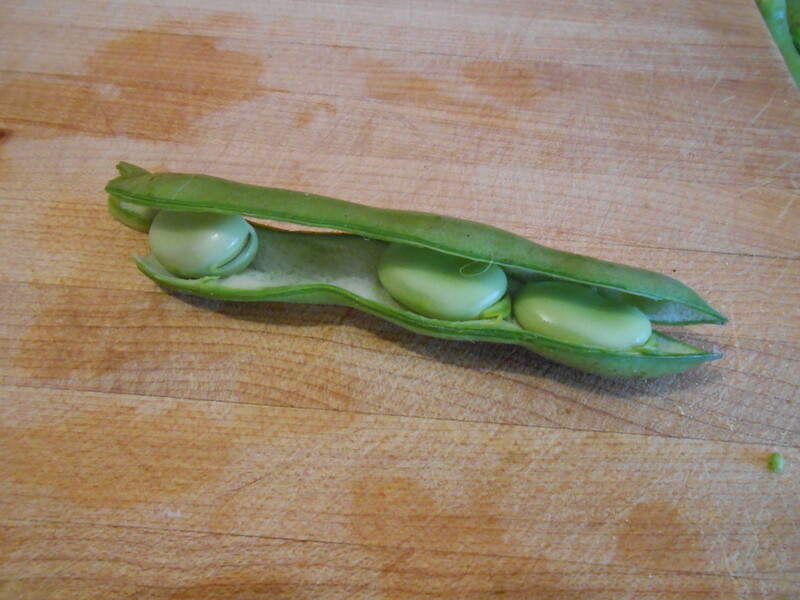 All you have to do is pinch the pod a little bit and it opens right up. Just like they are on TV! in Cartoons! In picture books! 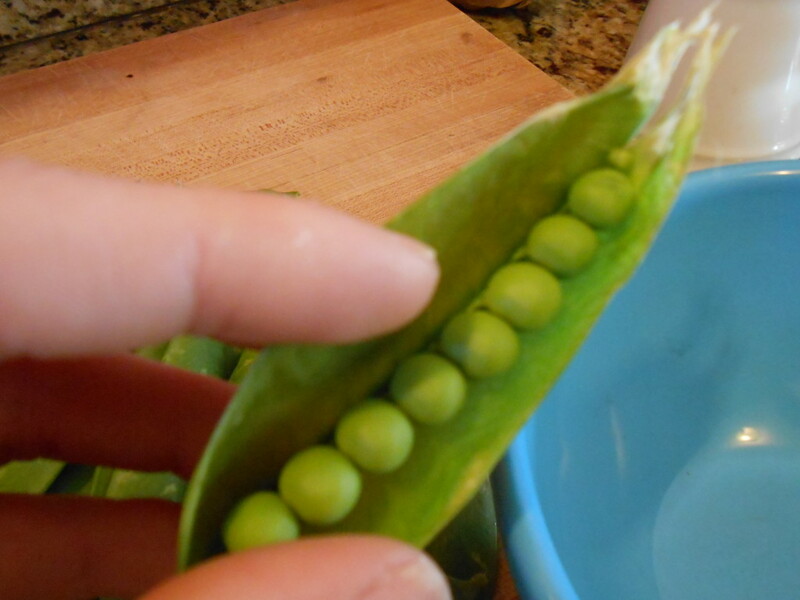 In no time you will have a large bowl of pods for your compost and a healthy amount of peas to use as you please! We used ours in a farro risotto (coming tomorrow) that we topped with spring mushrooms and duck confit that we made in the slow cooker. Such a happy bowl of green gems! Also sighted: RHUBARB! I bought a few stems, and I am planning a marriage with cherries, perhaps in grunt form. “A grunt is a traditional fruit dessert from the East Coast of the United States. It is made by stewing fresh fruit or berries and then dropping large dollops of biscuit dough on top. The dough is steam cooked through the escaping steam from the fruit, and it may be finished in the oven very briefly so that it has a crisp, brown top. Making a grunt is very easy, and the dessert is especially popular in the summer, along with similar desserts like cobblers and crisps. For people who have a lot of fruit but no energy to make a pie, a grunt is an excellent alternative. 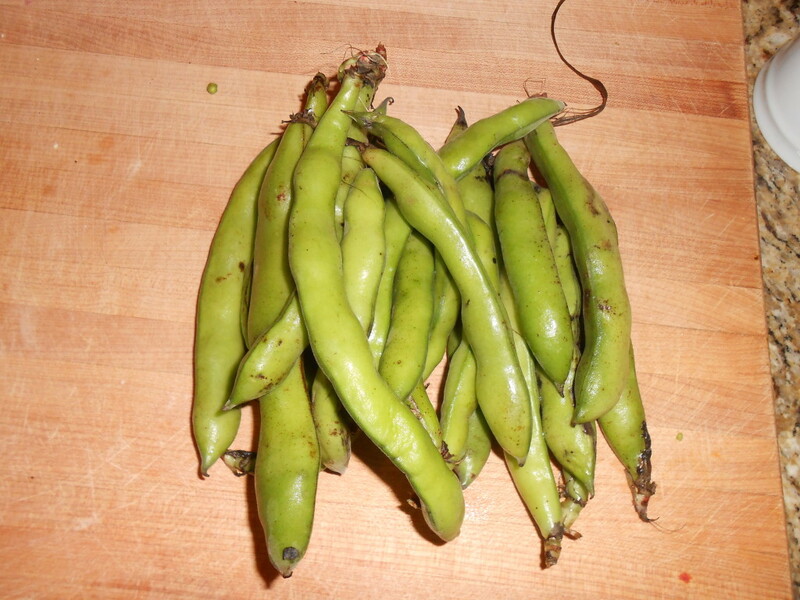 Also spotted: Fava beans! I have been seeing a few recipes here and there that are calling my name- but Mike will be featuring them in a recipe for a Guy Day Friday in the future. He made me a delicious crostini to satisfy my RUNger on a Friday night- and it was too good not to share. Mike and I shelled our respective pods together, while listening to NPR. WHO ARE WE? haha. Happy people. The next thing that is going to THRILL me are when the ramps appear again. I have a super secret source If you don’t know what ramps are, they are an early spring Allium (the family that includes garlic, onion, leeks and LILLIES) that grows wild throughout a lot of the Eastern seaboard- (But does really well in Appalachia/Virginia) and can be found as far north as Quebec. Unfortunately for the ramps, they have been over harvested by over-eager “foragers” who have been pillaging state parks and conservation lands- not understanding that a significant portion of ramps MUST be left in place and NOT harvested since they must flower and go to seed in order to re-seed the area. 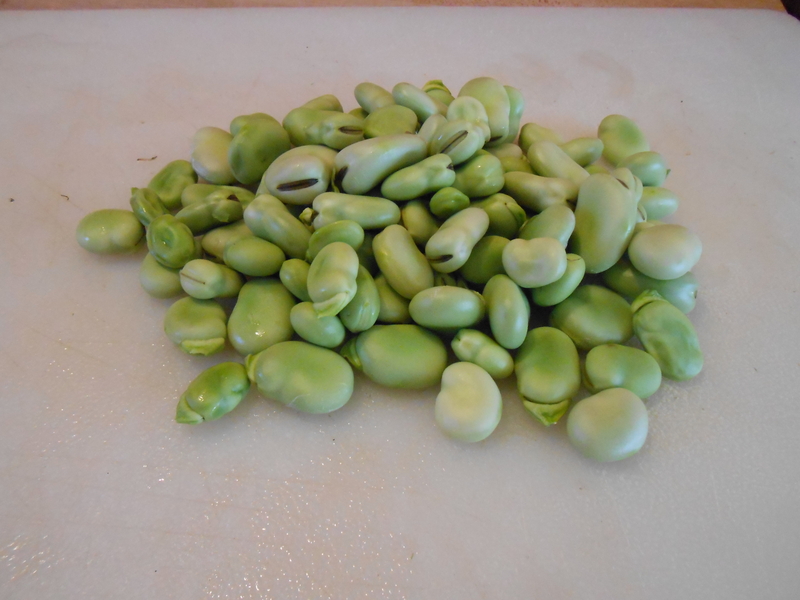 In Canada no more than 200 grams may be harvested per person- which is about 50 plants. This photo that I grabbed from google images shows a very SMALL patch- that should be LEFT ALONE. 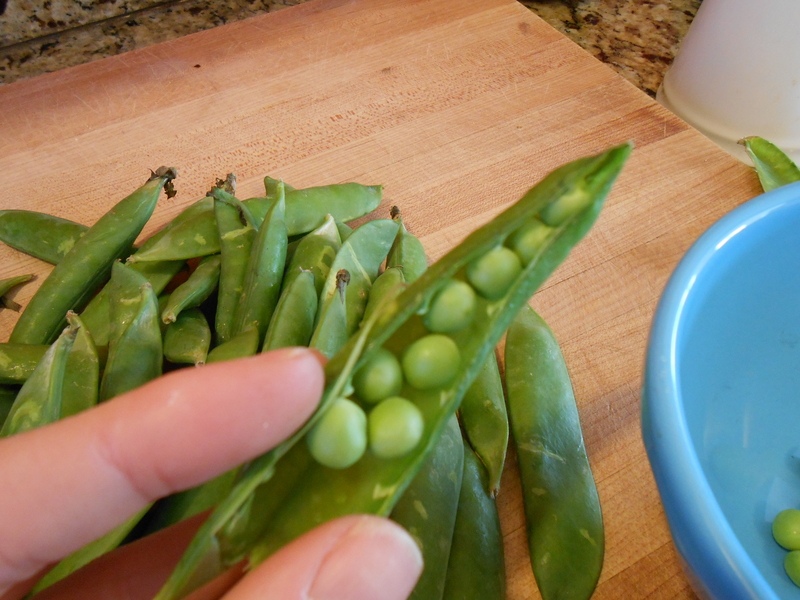 DO NOTE: it is easy to confuse ramps with Lilly of the Valley- which are NOT edible- but also, appear later in the season. And on that note- HAPPY DAY BEFORE SPRING! What are you excited about, food-wise or other? 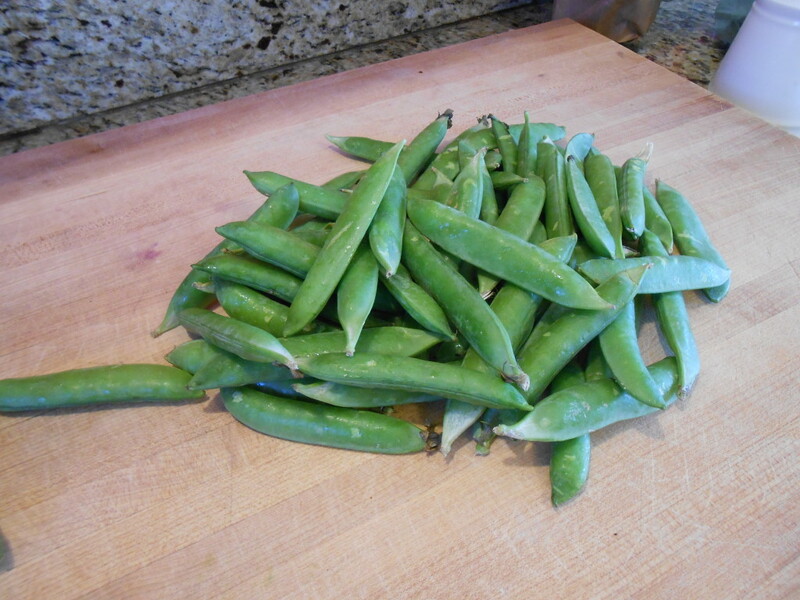 This entry was posted in Cooking and tagged fava, fresh peas, ramps, spring. Bookmark the permalink. I have never made a grunt. It sounds so similar to a cobbler, except the dough goes on after the fruit is cooked. How different is the flavor from a cobbler? Just wondering if it’s worth the extra step. I haven’t made one yet, either! I’ll let you know. I was intrigued by the idea of cooking it first (especially with the rhubarb) so that I could make sure the flavors of the filling were perfect before biscuits are applied! Fiddleheads are one of my favorite spring veggies. I haven’t seen those yet- but SOON! I’m just eager for summer and all the avocados and berries! I’m not a rhubarb fan at all unfortunately. I need to make a Whole Foods run soon though and check out the new produce!